NEW DELHI: The government is set to announce the reintroduction of the Class 10 board exam for students affiliated with the Central Board of Secondary Education (CBSE), India’s largest national school test-conducting body. 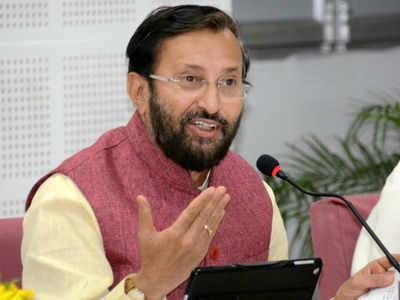 Javadekar will also announce a new ‘no-detention’ policy wherein students will be automatically promoted till Class V. States will then devise their options till Class VIII but will need to provide an opportunity for a “re-test” for students who fail. The CBSE Class 10 board examination was scrapped in 2010 and replaced with the current continuous and comprehensive evaluation+ that provides for tests and grading through the year as a means to reduce pressure on students. Reasons for reintroduction of the Class X Board examinations include feedback from states and representative organisations of parents and teachers that doing away with the exam along with the no-detention policy was affecting academic standards, even though studies indicated that the number of drop-outs has reduced. There were large number of government school students failing in class XI as evaluations became more demanding at the senior school level. These factors seem to have prompted the government to consider amending the decisions.